I reviewed The Road by Cormac McCarthy. Then I reviewed The Complete Walt Disney World 2010 by Julie and Mike Neal. I actually received an email from the author after publishing my review, and she's sending me the 2011 version, which was just published, for review. So I'll let you know how the updated version is soon. Finally, I reviewed Serena by Ron Rash. This was my first book for the I Want More Book Challenge. Unfortunately, I didn't enjoy it as much as the last book I read by Ron Rash, but it wasn't terrible. It was about logging, so I thought it was quite fitting as Earth Day approaches. I also put up my What My Children Are Reading post with some of the new books they've been reading this week. I have a giveaway ending tonight. I'm giving away the first Diary of a Wimpy Kid book. Click here to enter. I also put up a post about all the books I've won recently. The latest is a big set of books from HarperCollins Children's Books! In addition to all that, I finally updated my Reviews tab so it includes everything through my review of Serena yesterday. I just finished Moonwalking with Einstein last night, so I haven't started a new book yet. 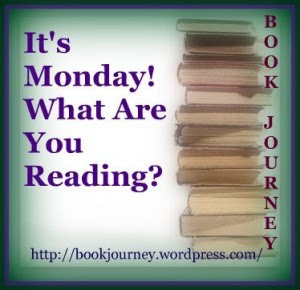 I do still have Aliens on Vacation by Clete Smith going with my son. He was away all weekend, so we didn't make much progress this past week. I plan to finish it by the end of the month, whether I read the rest with him or to myself! I'm going to move on to a NetGalley book next: These Dark Things by Jan Merete Weiss. And then, after that, I have yet another NetGalley book: Hotel Angeline. This is a book that was written by a group of 36 writers who got together for a week and wrote the novel collaboratively, live on a stage. I had heard about this when it happened so I was excited to see it available on NetGalley. I can't wait to start it, but I'm going to try to fit in These Dark Things first. I think Hotel Angeline would be fun to read. I'd like to see how all their different writing styles intertwine. I'm loving NetGalley; they have some interesting reads. I have been wanting to read The Road as it reminds me of an older book I really like called Alas Babylon. Hope you have a great week! Glad everyone is safe. I've heard good things about Moonwalking with Einstein. Looking forward to your review. I heard about the tornadoes, glad you weren't affected. Terrible for those who were, though. Do you find Netgalley very tempting? I do! I don't have an ereader so I really have to stop myself getting new books from them too often - it's just not handy reading on a computer. I've got The Road in my TBR pile, but it's been there for some time now. I really should get around to it.